Welcome to another week's Coffee News Roundup, wherein we discuss, or "round up", the past week's coffee news. Because, as simple as this industry may appear (and as simple as Starbucks would like you to believe it is) it's actually incredibly weird and complex. Millions of lives and livelihoods around the world depend on that little bug-shaped bean, and it's worth knowing all you can about it. At least, that's what I tell myself. Anyway, let's begin, shall we? The coffee wars are heating up. In the wake of JAB Holdings purchase of almost every coffee company in existence—Peet's, Intelligentsia, Stumptown, Caribou—as well as doughnut-pushers Krispy Kreme and the sandwich chain Panera Bread, Nestlé decided the best way to compete was to pay Starbucks a lot of money (7 billion dollars) to let them sell Starbucks coffee. JAB hit back this week with the purchase of Pret A Manger, the sandwich/coffee/salad chain ubiquitous on British high streets, for $2 billion. It's probably only a matter of time until Nestlé responds by buying a controlling stake in Guatemala. Coffee roasting is not a particularly eco-friendly endeavour. After the coffee is grown, harvested, processed and shipped (all of which has a significant environmental impact), it then has to be turned from a dense little green bean into the crunchy brown miracle we all know and love. And that takes energy. A lot of energy. Most coffee roasters run on gas, which has to come from somewhere, and if you're very lucky it'll be natural gas rather than an even dirtier alternative. One "solution" has been to offset the pollution by investing in tree planting or a similar environmental project. But now, a roasting company in Vermont is switching to 100% biogas to power its operations. Vermont Coffee Company is sourcing both electrical and thermal energy from captured methane gas provided by Vermont Gas, which is the first US provider to offer biogas through its pipelines. Hopefully this is the start of a chain reaction causing other coffee companies to switch to more environmentally-conscious practices, besides the usual predictable and basically useless greenwashing marketing fluff. 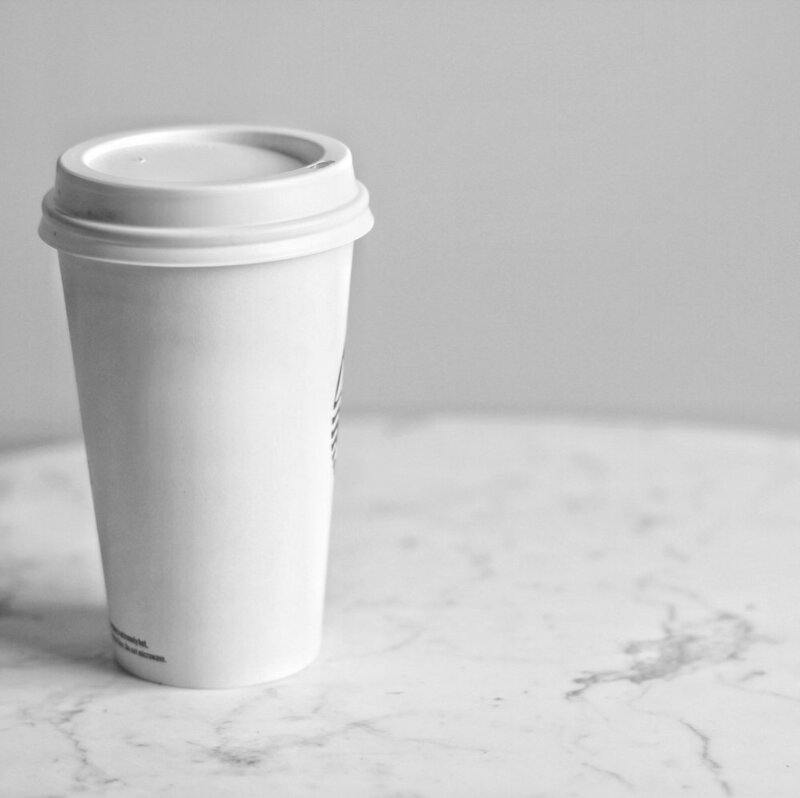 Speaking of environmentally-conscious meets predictable and basically useless greenwashing marketing fluff, the Scottish government has announced that single-use coffee cups will no longer be offered in government buildings from June 4th. The story says the move will save 450,000 takeaway cups from ending up in landfills, and obviously this is a good thing. Of course it is. Takeaway cups are stupid and shouldn't exist, much like plastic grocery bags and the weird British supermarket obsession with wrapping every item of fruit and vegetables in plastic. But without addressing the source of the problem—that is, rampant consumerism, an obsession with constant growth and a flagrant disregard for nature—then this move is merely a drop in the massively polluted ocean. But still, it's a start. And it's good to see a government taking responsibility for its own waste, so kudos there. This year's hot new "wellness" trend, if you believe the internet, is Cannabidiol-infused coffee. CBD is a non-psychoactive cannabinoid compound found in marijuana and hemp plants, and while it won't get you high, it will apparently relax you. Hopefully it will, when combined with the caffeine in coffee, leave you at the level you were at before you began drinking it, and not swinging wildly from one extreme to the other. Until next week, drink good coffee. Out of a reusable cup, please.